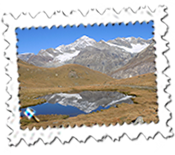 This year’s Swiss walking holiday had to, out of necessity, be towards the end of September. Sometimes, the weather at the end of the summer season can be a little fickle: this time, I had seven glorious walking days. I had a slightly fraught afternoon at work trying to get away and up to Heathrow where I stayed at the Travelodge along Bath Road. If, though, I do not especially enjoy rising at around 4:15 a.m., I am always amazed at the hordes of people taking the local bus to the airport at that time of the morning. I had checked in the day before at the earliest opportunity but was still perplexed at Terminal 2 when I was unable to get past the staff to get to the check-in/bag drop desks. It appears that luggage tags had to be printed by the self-service machines before reaching the said desks and, for good measure, another boarding pass was issued. It seemed to rather defeat the object of checking in the day before. There were times when I always travelled with the Swiss national carrier to their country but, more recently and for no particular reason, I have taken easyJet and British Airways more usually. It was nice to be back with Swiss, mind you, and not just because it was one of the emptiest flights which I had been on. Having inevitably got through all the formalities very quickly and settled into Simon Heffer’s English language book – think of embarking upon that at 5:30a.m.! – I was actually one of the last on to the plane having been the first at the gate. Two people wanted me to take a survey and, after the first asked one simple question and left, I was optimistic that the second, asking the same question, would be as quick. No joy and I had not realised that almost all of the other twenty-odd passengers had got on by the time the survey had finished. I had been allocated seat 4C which was ideal but turned out to be the only fully-occupied row on the entire plane. It wasn’t a problem to move and a fair breakfast was served after, wait for it, the plane had left early. The only slight disappointment was that the flight path did not take us down Lake Geneva which, on a nice day, would have been glorious. Anyway, after all this early-morning smoothness, Switzerland’s efficient train service had me in Zermatt just before 2 p.m. after one stop in Visp. I had stumbled upon a special offer for La Couronne Hotel back in December 2015 and booked for four nights for the price of three. There was a choice of room: single bed with Matterhorn view or double bed without. I chose the former and it was marvellous. 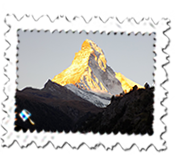 I fully accept that work day mornings – indeed most mornings – are a struggle for the first hour but I felt a different person drawing back the curtains to find the Matterhorn bathed in early-morning sunshine. 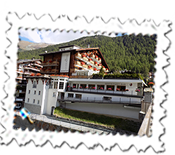 The hotel’s position was ideal, the breakfast and staff were excellent – for the last two mornings, I managed a table with Matterhorn view – and a small sauna finished the day’s exertions ideally. La Couronne was an excellent choice. I had encouraged a colleague to take on the Matterhorn walk to the Hoernlihutte which she took up and enjoyed. I have undertaken it twice previously but there was a bit too much snow on the slopes so I decided against it this time. It is a fine walk but I know myself too well and tried to throttle back for once. There have been many occasions when I have marched out on the first day of a Swiss holiday and taken on a walk which is steep and then regretted it for the next few days. Instead, I went to Schwarzsee but, rather than walk upwards towards the Matterhorn, I took the beautiful, meandering walk on the same level as the gondola station and had the ideal walk around and down in four-and-a-quarter hours. It is one of the quieter walks and I was surprised to see a marmot. It saw me too and, too frightened to move on, gave me ample time to take a photo despite my failure to find it for seemingly ages in the viewfinder! Monday was spent on the other side of the valley taking the Gornergrat train to Riffelberg. With the Swiss Franc rate so low against the pound, I convinced myself that walking up from Riffelberg to the Riffelsee for the lovely lake reflection of the Matterhorn would benefit the muscles unlikely to be over-exerted during the week. (I planned predominantly level routes...) The reality, though, was that it was cheaper to do it that way although, in fairness, it padded the walk out which turned out to be four-and-three-quarter hours. I walked down alongside the train line to Riffelalp and then through some of the delightful hamlets including Findeln and the lake Moosjisee. It was probably the most perfect day of the week for walking. My last full day in Zermatt was spent walking along the high route which eventually leads to Chamonix. Oddly, the weather turned and there was a little rain but it lasted only about an hour before coming out nicely. The walk to Tasch, the town where cars have to be left by those travelling to Zermatt, has spectacular views and the towns look quite distant from this height. It is another fine and quiet walk. Hunters were about lower down and they seemed friendly, fortunately... The walk back from Tasch to Zermatt is an easy one taking just over an hour and part of it is over the tunnel roof under which trains ply regularly. 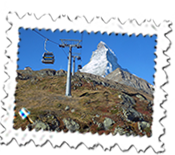 Zermatt’s helipad is also seen and this charming walk is, though, quite a busy one. The confirmation at La Couronne stated that I had a welcome present which I had not remembered receiving. 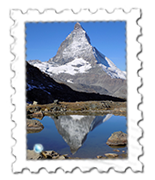 I suspect that it was a voucher to the Matterhorn Museum which I had been pleased to receive so I ensured that I had ample time to visit. 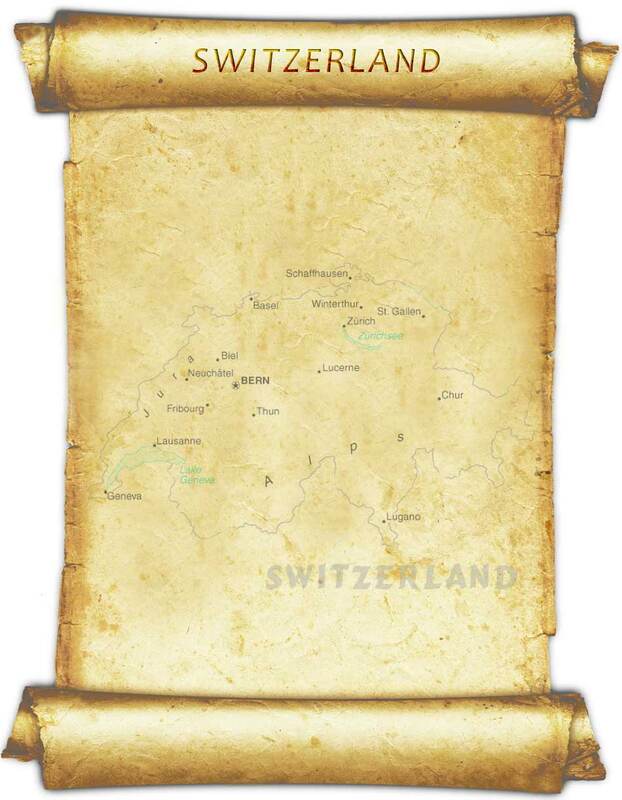 It was most interesting and showed how Zermatt would have looked in the 1850s as well as having a lot of material on the ill-fated July 1865 expedition where Edward Whymper and party made the first successful ascent of the Matterhorn only for four members to fall to their deaths climbing down. I was well aware of this but had not realised the events afterwards and so a book to find out more beckons. Additionally, the well-known mountaineer and guide, Ulrich Inderbinen, whom I had met when he was well into his 90s and who lived to be 103, was well-mentioned. Herr Inderbinen had climbed the Matterhorn into his 90s and was a remarkable man. It struck me, though, as odd that I could find nothing on the British climber, George Mallory, who had climbed in the area. I asked in German why this might be but, whilst doing so, guessed that he may not have undertaken the Matterhorn. It was, though, a most fascinating visit and I spent time in the climbers’ cemetery which commemorates not only those of the 1865 expedition but those who have died on Zermatt’s mountains. It is a small, slightly circular graveyard at the end of Zermatt’s main church. 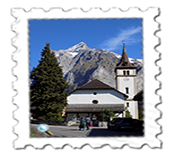 Travelling between Zermatt and Wengen, where I would spend four nights, takes just under three hours with four changes. Zermatt, though, is ideal for shorter walks also so I managed to walk up to the first gondola station at Furi and back a different way in just over an hour and a half which was ideal before checking out at 11 a.m. Arriving just before 3 p.m., I was quickly in my room at the Silberhorn. 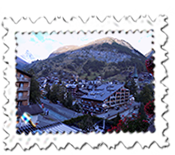 Again, I must thank Cornelia Thierstein and Jasmin Kern from Wengen Classic Hotels who once again allowed me to stay at a bargain rate. 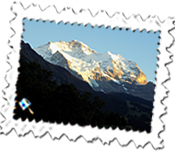 This time, I had a full view of the Jungfrau to look out upon every morning. The Matterhorn, being on its own, intrigues me and I can watch it for ages: the Jungfrau is beautiful but does not have quite the same hold upon me but I have never had such a good view of it before so was delighted. As it was the very end of the season, the hotel was not especially full. I enjoyed their spa facilities – even though a Japanese lady coming into the lift and seeing me in a bath robe burst out laughing – and, again, it was ideal after a day’s walking. Days are different in this region. 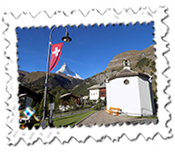 Whereas in Zermatt, I find that I can be back earlier as distances are shorter in reaching the starting point for a walk, I find that I travel further by train from Wengen before starting my walk. Both places are excellent in their own way and the mountain views from Grindelwald and the Lauterbrunnen valley from Wengen are amongst Switzerland’s finest sights. 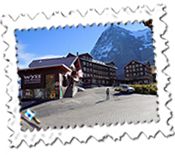 Generally, I find that I am out earlier and for longer in Wengen which works well and the Silberhorn is just two minutes walk from the room to the train. The walk to Kleine Scheidegg is one of the easiest in the region and can be completed in forty-five minutes. The views from there towards the Eigernordwand (North Face of the Eiger) were immortalised in the film The Eiger Sanction. I realised also that the Eiger on a nice or perfect day, such as I had, is not an easy mountain to photograph due to the sun being directly above it! Of course, I will take a glorious day at any time but there are times when I wish the sun were just a tad higher when I am there... I have found one shop whose awning does act as a fairly decent buffer against the sunlight but one does not ideally like to move their displays of postcards to take, with luck, the ideal photograph. There are various ways down – and up – to Grindelwald and I took the common one via Alpiglen which later affords terrific views over the meadows. It does mean walking along roads in general as one approaches Grindelwald but is one of my favourite walks in the region and the usual beer in the Steinbock Hotel was welcome before the hour’s train journey back to Wengen. 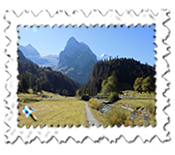 I took one of my favourite walks on Friday from the other end of the Grindelwald valley at Grosse Scheidegg to Meiringen. 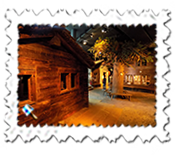 It is in essence a Sherlock Holmes walk passing through Rosenlaui and the Reichenbach Falls before reaching Meiringen in around four hours. Since I first visited Meiringen in the mid 1980s, much of Holmes and Watson has appeared and there is a nice feel to the place. I enjoyed further glorious weather although I must have taken a slightly longer path from Grosse Scheidegg initially as the walk took longer than the advertised signboard which, trust me, is rare by my standards. This walk is very rustic: a few farmhouses dot the countryside and it is an easy, if at times, dark walk as a lot of it goes through woods. Rosenlaui’s main hotel always seems to attract walkers and, I believe, climbers. It is another easy walk and, whilst this time I did not have much time at the Reichenbach Falls, it was enjoyable. There was just enough time for a leisurely beer in Meiringen before talking the train back to Wengen. 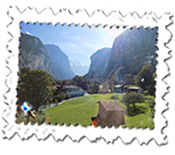 This walk involves quite a bit of travelling: a one-and-three-quarter train and bus via Grindelwald to Grosse Scheidegg and around an hour-and-a-half train ride from Meiringen to Wengen via Interlaken and Lauterbrunnen. The last day presented, as it turned out, pleasant problems. The forecast had been poor but the day dawned far better and dry. I had wanted to take on the Eiger Trail – the walk in the foothills of the famous mountain – but find high level walking in the rain little fun and it seemed that the rain would come earlier rather than later. 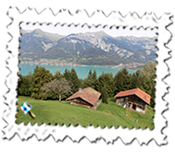 I decided to walk along the banks of Lake Brienz from Bonigen to Brienz instead. It was a lovely walk and the rain did not appear until the evening, though, so I was slightly at odds with myself. Never mind, the Brienz walk is wonderful and, of the four times I have taken it, this was probably the second best. The delightful en route village of Iseltwald has a viewpoint just before arriving into it and the views were charming. Returning from Brienz, one can see that this walk from Bonigen is a decent way from the other side of the lake. I always enjoy a beer in another Steinbock Hotel in Brienz and the end of the walk is always special with lovely views coming into Brienz with its lakeside position and regular steamers. A little shopping beckoned, my fellow bellringers requesting Toblerone. 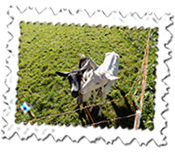 Bellringing is not always simple – at least to me – so appetites must be good and milk, dark and white chocolate was asked for... I thought that I did well to find a box of all such chocolate only to be told that a box of each had been expected and that my effort was little more than a demonstration box... All said in jest, I have to say, but I did find myself somewhat partial to Toblerone. After a most lovely week, I had to be off before the sparrows on the Sunday. There were only buses from Geneva to the airport which added extra time to the journey and, after the last two holidays when the trains surprisingly had issues resulting in a slightly rushed time at check in, I decided that I had to be on the 6:05 a.m. train which was not much fun. It went smoothly this time and, whilst I was early, the security queue was long so there was not much waiting about. The Swiss flight left on time and arrived into Heathrow early also which was terrific and I was back home shortly after 4 p.m.